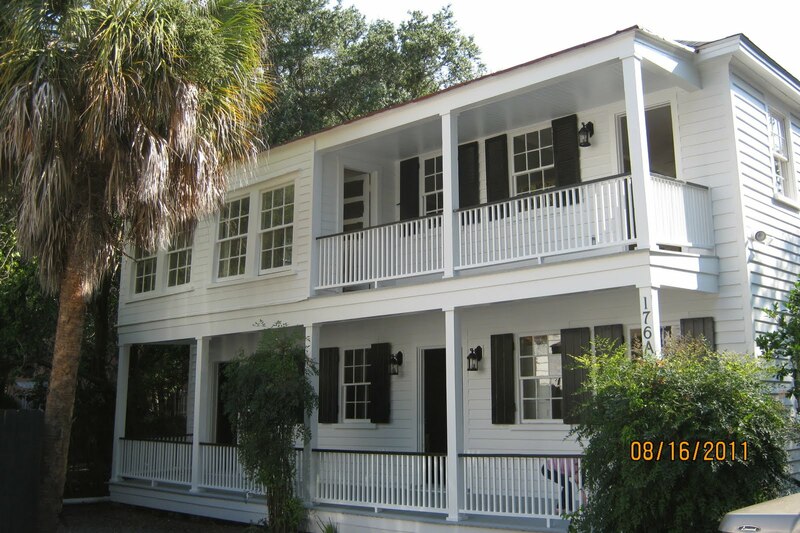 Classic Remodeling recently completed a major renovation project in the downtown area. We were excited about this project for a couple of reasons – in part because of the nature of the work itself, but also because the result of our work would benefit a charitable organization in the community. Our client on this project, the MUSC Foundation, is an organization that supports education, research, patient care and other programs at MUSC. The Foundation owns a rental property on Ashley Avenue and uses the rental income as one means of support for its programs. 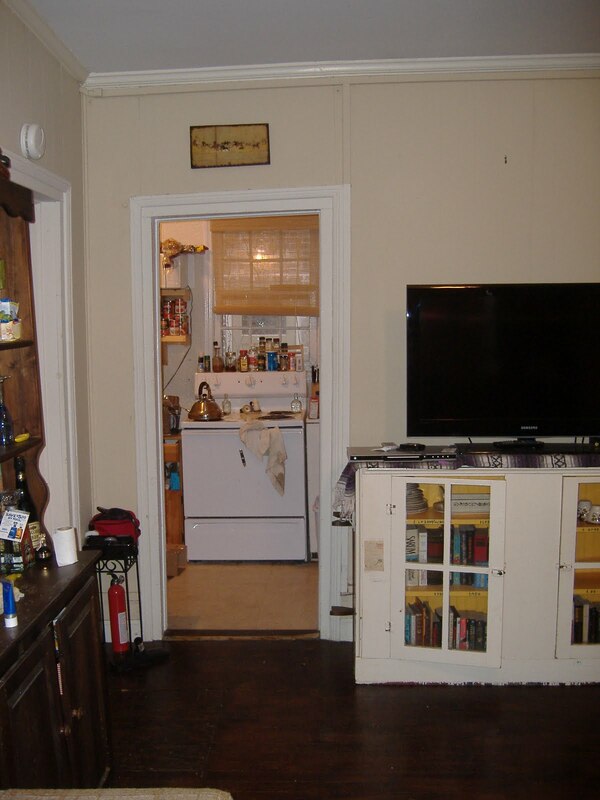 The goal for this renovation was to find a way to make the property more attractive to potential renters, thereby maximizing the benefit to the Foundation. That’s where we came in. Every project has its share of challenges, and projects in the downtown area tend to come with their own unique issues. At Classic, we look at those challenges as opportunities to do what we do best – complete superior renovations on time and on budget. 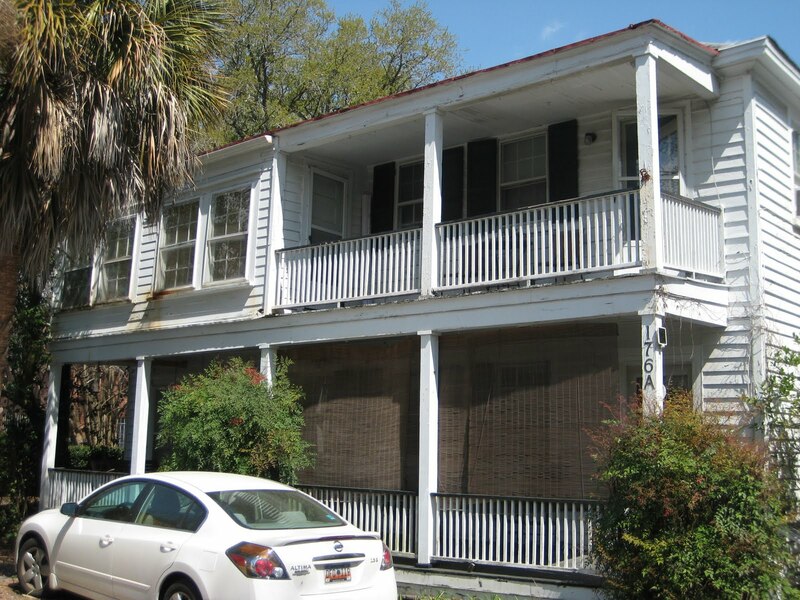 This property is located within the historic district and falls under the jurisdiction of the Charleston Board of Architectural Review (BAR). The BAR requires that any renovations to properties within this district must be appropriate and maintain the historic character of the building. So, all changes to the home had to be approved by the BAR before work could commence. Navigating the BAR’s approval process can be a daunting task, but through experience we’ve learned the right questions to ask to make the process as smooth as possible. We believe as your renovation expert, it’s our job to manage that process for you. Our next challenge - transforming this home into a renter’s dream. Due to the home’s age, we had to be sensitive to the potential presence of lead-based paint. 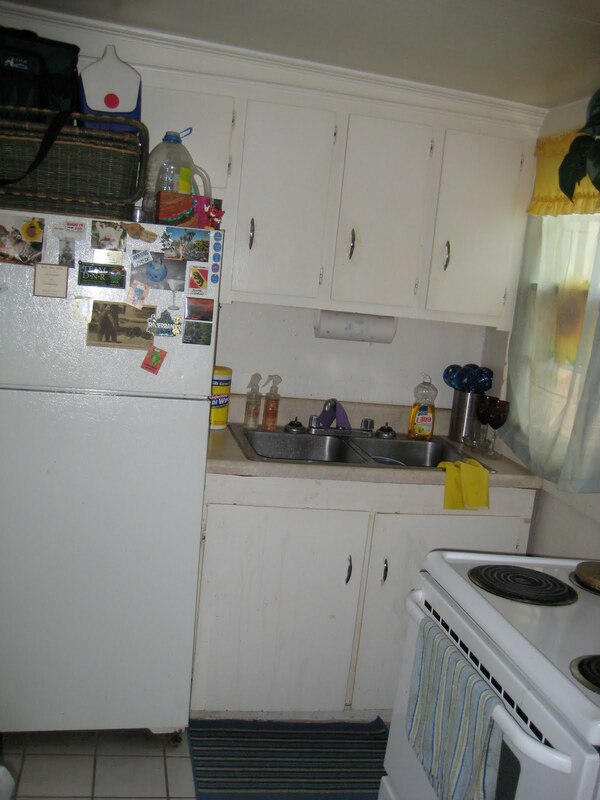 This is a common issue with older homes and should not be taken lightly. Our EPA-certified staff ensured that the project was handled with the utmost care. The home’s exterior got a facelift, which included repairing siding and adding new windows, a fresh coat of paint, and a new roof. An addition that was added at some point to the back of the home that housed the bedrooms and kitchens was not structurally sound and had to be completely rebuilt. Inside, each apartment got a total makeover. The original floor plan included a sitting room, a living room, bedroom, bath, and kitchen. We reconfigured the space to make it more desirable, converting the extra sitting room in each apartment to a much more useful second bedroom. 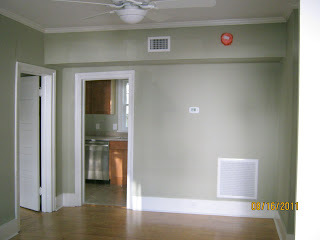 The existing hardwood floors were refinished and we laid new tile floors in the baths and kitchens. 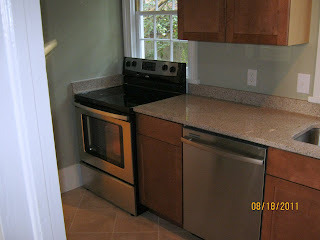 Both apartments were outfitted with new kitchen appliances and bathroom fixtures. In spite of the challenges that accompanied this project, the results speak for themselves. 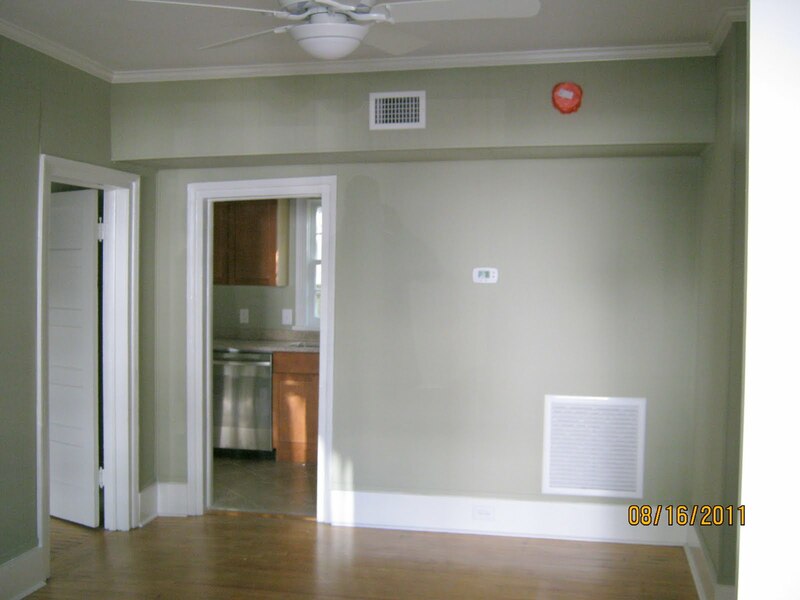 We maintained the property’s historic character and transformed the space (without adding square footage) making it more functional and attractive to potential renters. Finally, the project was completed in record time – just under 2 months – a remarkable feat considering the challenges!